JungleWatch: MORE CONFLICT OF INTEREST ON THE LLG CAMPAIGN???? MORE CONFLICT OF INTEREST ON THE LLG CAMPAIGN???? This past Sunday, hundreds of courageous souls braved the inclement weather (some had to face biblical rainfall, while others had to find relief from a pounding Sun) to be counted in the fight against that barbaric plague (but often portrayed as an advancement for women) that is abortion. These brave people did so, because they believe in the teachings of their Church, which tell us that every life is precious. The debate is not new. The Greek philosophers already debated on the morality of such procedure. The Jewish scholars have codified very precisely what is considered life, and therefore what is the murder of a child or not. We as Catholics are steadfast in our belief that abortion is murder, it is an infanticide, plain and simple. 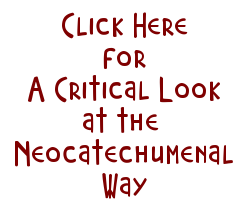 In the early 20th century a new school of racial "specialists" advanced many new theories. 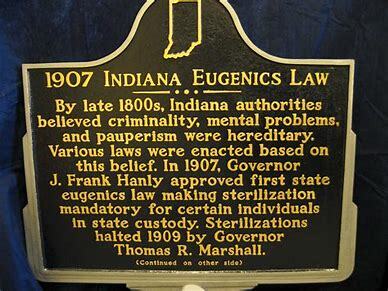 Among them was Eugenics, a very dangerous idea, which advocates the practices that aim at improving the quality of the genetics of the human population. 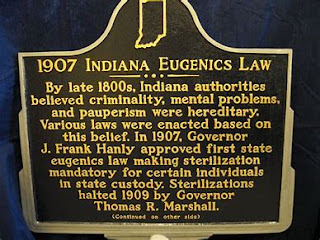 Some of the solutions proposed were sterilization, (see above) but also outlawing inter racial marriage, and abortion. The founder of planned parenthood (an oxymoron if there ever was one) Margaret Sanger, was one of the pioneer advocate of Eugenics. Her main goal, in promoting abortion was the control of black and brown populations, by reducing the birth rate of minorities and therefore allowing white elites on the East Coast to advance their racial agenda. Never forget that it was Woodrow Wilson, who resurrected the KKK in the 1920s, and supported the Jim Crow laws and segregation in the South. All of them were democrats, and all of them started portraying this dangerous philosophy as an advancement for the cause of women's equality. The same people that are now claiming they are defending women's rights are the ones that advocated for the control of minorities birth rates (through abortion) and the laws barring interracial marriages. What does that have to do with us here on Guam, you might ask? And Lou Leon Guerrero could well be our next Governor. So, what is that new conflict of interest in LLG's gobernatorial campaign? As I have mentioned in the past, there are many conflict of interest in this campaign. Of course the Neos who are claiming to be supporting life, are the obvious hypocrites in this deal, because at the same time they wholly embraces LLG's bid for governor, and they have jockeyed themselves to the forefront by co-opting some of the most important posts around LLG. who also happens to be a paid member of the Archdiocese of Atgana. Therese Arroyo Matanane is the official Press Secretary of the Lou&Josh campaign. 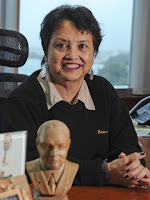 She is also the Station Manager of KOLG the Island's Catholic radio. People at KOLG are pretty upset about this obvious conflict of interest. The rumor is that some have tendered their resignation or are thinking about it. Tony Diaz who is the communication director for the Archdiocese is obvious by his absence on the subject, so is Fr Mike who is supposed to be responsible for the Station. Dead silence also on the part of our inept Vicar General. What is going on here? Has Archbishop Byrnes been made aware of this issue? 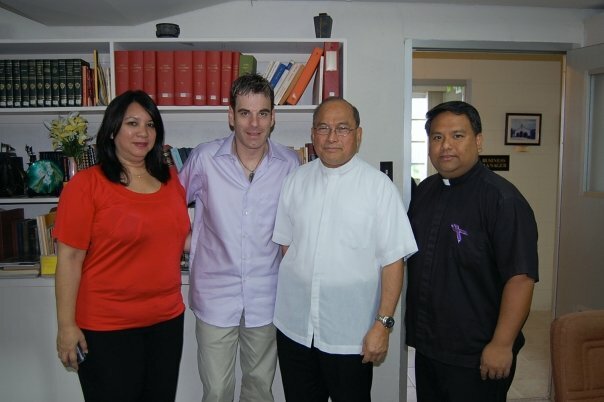 We have an official member of the Archdiocese, who is the Manager of the only Catholic Radio on Guam, who officially takes a paid position on the campaign of the most prominent advocate of abortion on the island!!!! Nobody at the Chancery finds this as a major conflict of interest? Once again we can smell the stench of the corruption left by Apuron. 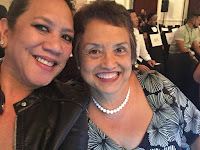 To make matter worse Therese Matanane happens to be the sister of none other than one of the most recognized voice on Guam's airwaves: Patti Arroyo. When last week I was questioning why our media pundits were so silent on all these incestuous relations, and refuse to dig into what is something obviously wrong, perhaps we do not have to look very far. The Catholic faithful deserve to hear from the Chancery, and be given some explanation. On one side you cannot give lip service to the hundreds of volunteers who show up to defend the lives of our babies, while the people who still advocate Eugenics, this twisted racialist theory, which saw the justification by the Nazis for the killings of hundreds of thousands of mentally handicapped Germans, millions of Jews and gypsies, as well as tens of thousands of gays and lesbians, are being helped and abetted by members of the Catholic administration, and local Catholic personalities. This is totally unacceptable to the faithful. I guess like someone told me today money talks. Hopefully our religious leaders will take the lead on this. Though what you claim about Democrats having a hand in promoting abortion may be true, Republicans’ hands are not clean, either. In the Roe vs. Wade decision allowing abortion, five of the concurring judges (in a 7-2 decision) were nominated by Republican presidents: justices Burgher (Nixon), Blackmun (Nixon), Powell (Nixon), Brennan (Eisenhower), Stewart (Eisenhower), Marshall (Johnson), and Douglas (FDR). Rehnquist (Nixon) and White (JFK) dissented from the decision. Ah! Mr Guile is back....long time no see. Nothing much has changed in your specificity of always addressing issues that are secondary or tertiary to the main argument. 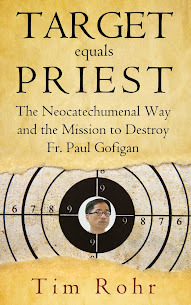 Here the main argument being: why a paid employee of the Archdiocese is allowed to take a paid position in the political campaign of an individual who is steadfast against some of the most sacred tenets of the Church? As far as dividing the SCOTUS along party lines, I understand it is quite popular in partisan groups that want to push or to oppose a particular agenda, as has been demonstrated the past month by the gesticulations of people opposing the nomination of Justice Kavanaugh. Indeed the cases are numerous of Judges nominated by a republican president who sided at times, even sometimes quite often with the more revisionist side of the court. Justice Kennedy is a good example of this. In fact the supreme court has over the last 50 years been legislating from the bench. There are many reasons to that. The major one being that the legislature fails to address many of the social stumbling blocks of their time, forcing these cases to be brought to the SCOTUS as an ultimate recourse. The latest flagrant example being Gay marriage. In the Roe vs Wade historic decision, the Justices' decision was an almost logical result of an onslaught of brainwashing arguments made by the pro eugenic movement, for over 50 years. It did happened at a time of societal and moral turmoil, which we are still experiencing the consequences today. It is to be noted that it also took place not long after the Church abandoned this type of fight to the SJW crowd, when they did not totally embraced it with open arms. See in particular the Kennedy family or the Catholics for choice, etc... All this not long after the closing of Vatican II in the 70s, which saw the watering down of many of the core values of the Church.